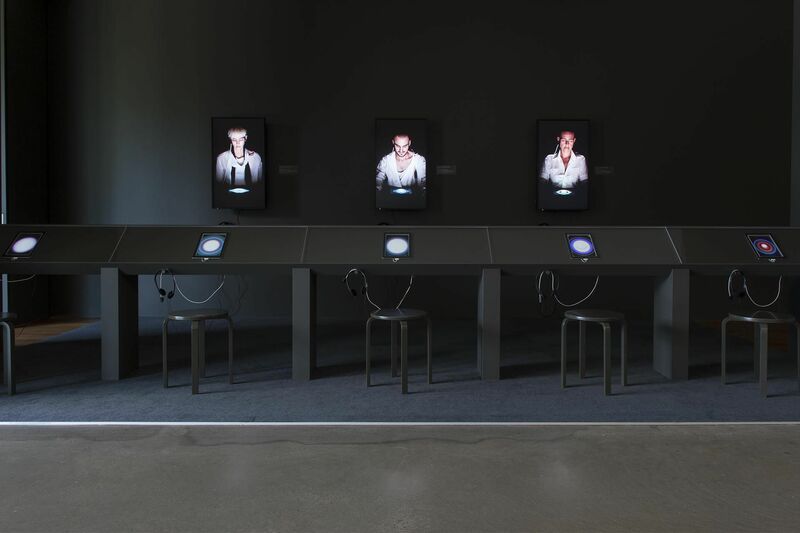 The Queensland Art Gallery | Gallery of Modern Art congratulates George Poonkhin Khut, winner of the 2012 National New Media Art Award. The selection committee members said that Khut's winning entry Distillery: Waveforming 2012 poetically explored the interactions between the mind and body; art and science. By visually displaying the viewer's heartbeat the work instantly responds to their changing reactions, creating a continuous biofeedback loop. The work was originally developed as relaxation training system for managing the pain and anxiety experienced by children undergoing medical treatment. The judges commended Khut's creative approach to experimental research and the great potential it showed for other applications. The selection committee also highly commended Kirsty Boyle's Tree ceremony, which they said engaged beautifully with the history and cultural implications of robotics; and Robin Fox's CRT: h'ommage to Léon Theremin, a subtle re-viewing of an obsolete media, and a sophisticated yet playful interactive installation.